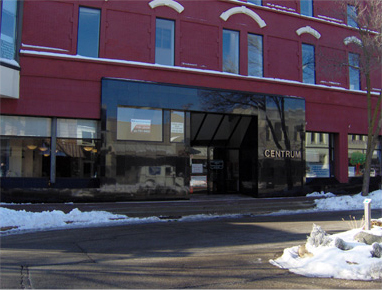 Whether you are setting up shop for the first time or simply relocating an existing small to medium sized business, the Centrum Building is the location of choice in West Bend, WI. Located in the heart of West Bend's picturesque and historic downtown, the Centrum's distinctive masonry facade is a local landmark. Premium frontage on Main Street and 6th Avenue provides maximum visibility and easy access. Attractive entrances on both the east and west sides of the block-wide building make the Centrum building a vital commercial hub. Restaurants, retailers and professional service providers are footsteps away. Fresh, clean and professional suites boast every convenience in the Centrum's completely renovated interior.